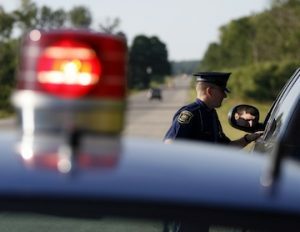 Under Michigan law, it is a misdemeanor offense to drive with a suspended or revoked license. In the real world, DWLS/DWLR cases are amongst the most common that pass through the court system. For the most part, these cases can be handled painlessly, but the concerns they present run deeper than just staying out of jail, although that’s not always obvious at first glance. In this article, I want to look at a few things: The difference between a suspended license and a revoked license, the legal concerns and implications of each, and how, as a practical matter, these two types of cases, often confused as the same thing, play out differently in court and in a person’s life. First, let’s define these acronyms: DWLS stands for “driving while license suspended,” and DWLR stands for “driving while license revoked.” The difference between suspended and revoked is pretty significant. A suspended license is a license that has been taken away for a specific time period, or will be returned upon the happening of a specific event, like the payment of money. A revoked license is one that has been completely taken away by the state, and will not be returned until and unless a person, when eligible, files and wins a full driver’s license restoration hearing, no matter how long he or she otherwise waits. It’s easy to understand this in school terms: A student is suspended for a period of days or weeks, but returns to school thereafter. A revoked license is like being expelled; you’re out for good unless you formally petition the appropriate board and win your appeal. If you don’t, then you remain expelled or revoked. For the most part, revoked licenses are the result of multiple DUI convictions. By contrast, a license can be suspended for any of many reasons, although the most common are unpaid tickets, unpaid driver responsibility fees, or a 1st offense DUI or drug crime. As it works out, there are really 2 classes of people, separated by how they are perceived and treated in the court system: Those whose suspension results from a DUI (remember, revocations almost always do), and everyone else. As a practical matter, if the reason for your suspension is anything other than a drunk driving conviction, you’re better off than if it is. I have written rather extensively on this topic, so if you want to go deep, you can find a detailed analysis of just about every aspect of these cases here, in the Revoked and Suspended Driver’s Licenses section of this blog, and in the various relevant revoked and suspended license sections on my site. We’ll skip all the deep analysis here, in this article because it doesn’t really take a rocket scientist to figure out that if you have had your license revoked, or even suspended for a DUI, and you get caught driving afterwards, it just looks bad. Driving on a license suspended or revoked for drunk driving understandably looks worse than it does when someone who merely failed to pay a ticket get caught behind the wheel, perhaps going to work. You don’t need to be a Judge, lawyer or police officer to figure this out. But you do need a lawyer to push this point on your behalf and watch out for consequence that can sneak up on you later and cost you money, or cause you to be without a license all over again, or for longer than need be. Although it’s never “okay” to drive without a valid license, a legitimate reason for having done so, like going to work, picking up the kids, or running a necessary errand, can be very useful when it comes to driving a plea bargain that won’t cause you to lose your license all over again. If your license is/was suspended, then a DWLS charge carries the possibility of an additional suspension being piled on. Especially in the case of a 2nd or subsequent offense, there are several quick and easy plea bargains that can often be struck, but some of them can cost you a fortune in driver responsibility fees. This is where experience and patience counts. The ultimate goal in handling a suspended license case is to avoid jail (almost always NOT a problem), to save your license, and then save your money, as well. This typically require more effort on the lawyer’s part than simply showing up in court and asking the prosecutor for a break. While there are countless things that can figure into how any particular DWLS case should be handled, the most obvious of them is that it may take more than 1 or 2 trips to court to produce the best result. At least in my practice, I work on a flat-fee basis, so I never wind up having to ask my client for more money to come back, so any return trips to court are obviously for the benefit of the client, and not me. Beyond all the legal stuff here, it’s a matter of honesty and integrity and doing the right thing. In a revoked license case, things are different. Jail, while usually not an imminent threat, is still more of a possibility for someone who can’t drive because of multiple drunk driving convictions than it is for someone who forgot to pay a ticket. The financial exposure in DWLR cases is far greater, and most of all, the license consequences are way more severe. If a person has had his or her license revoked for 2 DUI’s within 7 years and gets caught driving before he or she wins it back, then it will be revoked all over again. It doesn’t matter what kind of driving offense a person works out, either. This can get tricky, but even if a person plea bargains a DWLR charge down to the most minor traffic infraction, once the Secretary of State finds out that a person has been driving, he or she will receive what is called a “mandatory like additional” revocation for driving when his or her license was revoked. This means that the lawyer has to fight like hell to keep ANY kind of violation off of the client’s driving record. For anyone revoked for 3 DUI’s within 10 years, the license sanction is another 5-year revocation, all over again. There is NO way around these penalties if a person is convicted of any moving violation, so the lawyer must work out a suitable deal to avoid them. By the time you stand in front of him or her, the Judge will know all about your driving record. As I noted earlier in this installment, if a person is facing a DWLS charge for not paying a ticket, he or she will just be “seen” differently than if he or she has been charged with DWLR after multiple drunk driving convictions. That said, the kind of plea bargain a person’s lawyer negotiates figures into how he or she is treated, as well. I handle DWLS/DWLR cases every week. I routinely work out DWLR cases in a way that nothing goes on my client’s driving record. This prevents my client from being revoked all over again, thereby preventing him or her from moving forward with a driver’s license restoration case. When I do this, the Judge almost always notes what a great deal my client has received, and I make sure that he or she knows that it was worked out because my client deserves it, and that my client is going to make the best of it. Ultimately, we want the Judge to go easy and go along with the plea bargain so that the person can get “legal” and get his or her license back. As the lawyer, I must use every tool possible to produce the best outcome for my client. DWLS and DWLR cases are really the “bread and butter” amongst all the kinds of cases that wind through our local, Detroit-area district courts. Location matters in these cases in the same way it does in DUI cases. Proper handling of these cases calls for the lawyer to do more than just show up and ask for the deal of the day. In the final analysis, it’s your life and your future, and you want to be sure the person representing you does everything humanly and legally possible to produce the very best outcome possible. If you are facing a DWLS or DWLR charge, do your homework as you look for a lawyer. Read my other articles, and read whatever other articles you can from every lawyer who puts them out. Call around and ask questions. If your case is pending anywhere in Macomb, Oakland or Wayne County, I can help you, and will fight to make sure you get the very best possible outcome. You can reach my office Monday through Friday, from 8:30 a.m. until 5:00 p.m., at 586-465-1980. We’re here to help.